Barry Burton. Where to begin? The man is responsible for most, if not all, of the worst lines of videogame dialogue ever. From the outset, Barry guarantees RE’s laughs as will be as memorable as its scares. 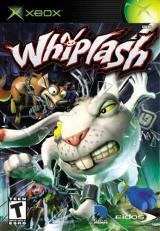 Unfortunately his hilarity was obviously an oversight on Capcom’s part as the remake sees the removal of this and other sidesplitters. Don’t worry Barry, you can always come around to mine for some Jill Sandwiches. At number 4, we have everybody’s favourite anti-villain; Gilgamesh. Appearing in no less than ten games of the SquareEnix series, he is the most featured character in the FF universe. In fact, he has proved so popular that Dawn of Souls was updated to include him. That being said his standout appearance is in FFV as Exdeath’s lackey. The many-armed-man brings with him the best laughs in the game, and even the series. 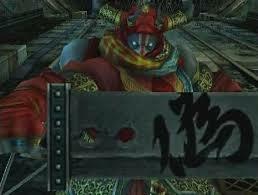 After a brief departure from comedy he returns to form in FFXII, pleasing die-hard fans by producing swords belonging to the heroes of the past few installments and running about the Lhusu Mines, cackling maniacally. Okay, so nobody thought all that much of Whiplash. The gameplay maybe be repetitive 3D platform all the way, but I defy you to say that you didn’t laugh the first time you shoved Redmond into a grinder. Or used him as a flail. Or a grappling hook. Or set him on fire… and used him as a flail. Puerile cruelty at it’s finest. Of all of the game protagonists over the past few decades, no one of them has captured hearts like Gorbrush Thiftweed. The loveable pirate with the impossible name turns 20 this year but Monkey Island’s writing hasn’t aged a day. From the first outing in The Secret of Monkey Island to the recent Tales of Monkey Island (being released episodically on Windows, Wii and Mac), the lanky blonde rogue has never failed to satisfy. 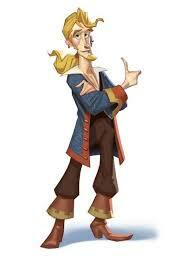 Guybrush Threepwood: Oh, so your parents were expecting a girl, then. God bless him and all who sail in him. Finally, at number 1: She’s psychotic, she’s evil, she is a stroke of comedic genius. 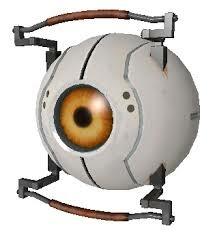 It is the one and only GLaDOS. Yes, the sadistic Apperture Science Mainframe is the crowning glory in the videogame comedy crown. She’s a manipulative liar with a penchant for incineration and baked goods, but you can’t help but love her. Every line is designed to lull you into the most transparent sense of security as you make your way through the Enrichment Centre to the promised Cake. If she were human she’d invariably have a top hat and twirly moustache. So, with that I’ll let the lady (?) herself sing us out of the Top 5 Funniest Videogame Characters.